A group of Kansas health professionals who are working together to improve vaccine rates and protect Kansans against vaccine-preventable diseases is encouraged by some new statistics. According to the Immunize Kansas Coalition, a new CDC report shows Kansas adolescent HPV and MenACWY vaccination rates continue to improve for both girls and boys. The greatest increase was seen in girls with 62 percent having at least one dose of the HPV vaccine, compared to 51 percent in 2015. The Tdap vaccination rates remain high for the state of Kansas and are nearly equivalent with the national average. Approximately 79 million Americans are currently infected with the HPV or Human Papilloma Virus, according to the CDC. HPV causes many different types of cancer in both women and men. Cervical cancer is almost exclusively caused by HPV. The HPV vaccine is recommended for preteen boys and girls because their immune systems are the most receptive to the vaccine at that age. Although meningococcal disease is rare, it is a life-threatening illness that can cause deafness, loss of limbs, and severe brain damage. About 1 in every 10 cases results in death. The disease is caused by bacteria spread through coughing, sneezing, kissing, or sharing a drink with someone. The MenACWY vaccine protects against four common strains of meningococcal disease. Tdap stands for tetanus (lockjaw), diphtheria, and pertussis (whooping cough). The Tdap vaccine protects against all three of these serious diseases. This report is a welcome confirmation of the work of immunization providers and advocates across the state over the last three years. In response to Kansas having some of the lowest vaccination rates in the country for HPV and MenACWY, the Immunize Kansas Coalition (IKC) made increasing adolescent vaccination rates a priority in 2015, released an HPV vaccine toolkit in 2016, and released a meningococcal vaccine toolkit in 2017. IKC celebrates the success of increasing vaccination rates for both HPV and MenACWY, but there are opportunities for improvement. Kansas is still near the bottom for MenACWY and boys’ HPV vaccines, ranking 45th for both vaccination rates. Tdap has held steady, ranking 31st. “We applaud coalition membership for making it a priority to protect adolescents against vaccine preventable diseases,” said Laura Connolly, Quality Director with UnitedHealthcare Community Plan of Kansas. 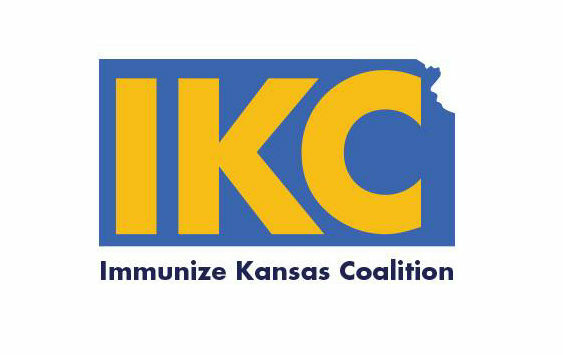 “Our efforts are paying off, but we have more work to do to further safeguard Kansas children and adolescents.” Connolly assumed the role of Chair for Immunize Kansas Coalition last month, taking over for Hope Krebill, Midwest Kansas Alliance. Dr. Gretchen Homan, Kansas Chapter American Academy of Pediatrics (KAAP), was elected to the Chair-Elect role. “Supporting Kansas medical providers with up to date and accurate information on vaccines helps connect families with life-saving immunizations. All Kansas kids deserve good health, and prevention of disease through immunization is foundational in this mission,” explains Dr. Homan.